Twenty-five years ago today, arguably the most important Space Shuttle mission of the 1990s landed back at the Kennedy Space Center, concluding a daring, complex, and high-stakes rescue mission to save the Hubble Space Telescope. The mission was also largely symbolic of what NASA can accomplish and served as a restoration of the public’s confidence in the space agency following a series of missteps in the first three years of the new decade. To say that NASA went through the wringer in the first few years of the 1990s would be an understatement. In 1990 alone, the space agency, still recovering from the Challenger disaster of 1986, suffered multiple setbacks, not the least of these being persistent Liquid Hydrogen leaks across the Shuttle fleet – an issue that delayed multiple flights and forced a complete reordering of the launch manifest. But on top of that, the agency’s premier space observatory, the Hubble Space Telescope, was found to have a critical flaw in its primary optics mirror after its launch aboard Shuttle Discovery in April 1990. The Hubble Space Telescope was billed as a revolutionary observatory taken clear of Earth’s distorting atmosphere to obtain sharp, crystal clear images across multiple spectrum to unlock the secrets of the universe and peer deeply back in time. But in the first weeks after launch, NASA – in the midst of the on-going hydrogen leak issues – was forced to admit that their multi-billion dollar telescope and flagship scientific venture had a near fatal flaw. It had sloppy vision. Every image was distorted and fuzzy. An analysis and inquiry found that Hubble’s primary mirror had been ground to the wrong shape. In sort, the telescope was nearsighted. The perimeter of its primary mirror was too flat by 87 microinches or just 2.2 micrometers – an astoundingly small error but one with devastating consequences to Hubble’s primary scientific mission. The telescope and NASA became the punchline of jokes despite Hubble scientists being able to make numerous productive observations of astronomical targets. This was possible because the issue with the mirror was so well understood and characterized that astronomers were able to compensate for the defect by using sophisticated image processing on the ground. But that was still limiting. Compounding the issue and NASA’s growing public confidence issue was the investigation’s findings that the defect had actually been identified via quality control testing by the mirror’s primary manufacturer and could have been fixed prior to the telescope’s launch. However, the manufacturer dismissed these error identifications from conventional measurement tools because they believed their in-house built device was more accurate. The issue was that their in-house instrument had been built incorrectly and therefore did not identify the spherical aberration actually present on the mirror. In short, the findings that the mirror was ground to an improper shape were rejected by the manufacturer based on faulty data from a faultily-constructed measurement device resulting in Hubble being launched with a flawed mirror. 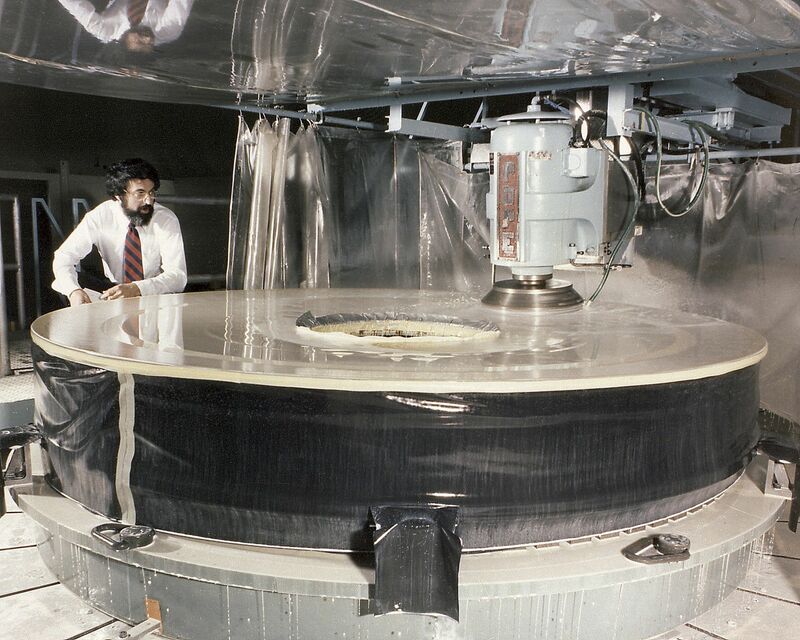 Additionally, NASA found that the prime manufacturer failed to supervise mirror construction properly, did not assign its best optical scientists to the project, and had not involved optical designers in the construction and verification of the mirror. Despite placing most of the blame on the manufacturer, NASA was also criticized for not identifying the quality control shortcomings with the project and for relying solely on quality control testing from a single instrument while dismissing identification of the mirror’s aberration with other instruments. But like the hydrogen leaks which NASA persisted through and found a solution for, the agency refused to abandoned Hubble and decided to embark on an ambitious plan to rescue the telescope because Hubble had been designed to be serviced and upgraded by the Shuttle fleet throughout its life. Before the full-scale nature of Hubble’s vision issues were understood, NASA was already planning the first servicing mission to the telescope to upgrade its scientific instruments. But that mission now had to take on a new priority – correcting Hubble’s optics and saving the telescope’s primary scientific mission. But even thinking of such a mission was daunting. The amount of work now required mandated five back to back spacewalks – or EVAs (Extra Vehicular Activities) – without a day between them because of the limited consumables the Shuttles could carry for their electricity producing Fuel Cells. All five EVAs were needed because of the sheer volume of work required inside and outside of Hubble, a number of activities unprecedented at that point in the Shuttle program. Just one year prior to the first Hubble servicing mission, in May 1992 during the maiden voyage of Space Shuttle Endeavour, STS-49 included four spacewalks. Three of those EVAs were planned while the fourth was a contingency. But even that mission allowed for a day of rest between the second and third spacewalks. Even more tasking was the fact that while the new optics would be thoroughly tested on the ground, the only way to be absolutely certain they would work was to install them and see how they performed with the abnormality present on the telescope. While the spherical aberration issue was understood, actually designing corrective optics to place in the telescope was challenging and mandated a complete understanding of the issue without an ability to physically take measurements. To do this, scientists and engineers used Hubble images collected from point source astronomical objects to determine the actual conic constant of Hubble’s primary mirror. The team then repeated this process independently using the faultily-designed quality testing tool from the prime contractor as well as by independently analyzing interferograms obtained during ground testing of the primary mirror. The three independent calculations returned a conic constant of -1.01390 ±0.0002 – allowing astronomers, scientists, and engineers to begin designing the set of corrective optics. But even that was laborious as the way Hubble’s instruments were design mandated two sets of correctors. The first had to be incorporated directly into the Wide Field and Planetary Camera 2 science payload that had already been planned for replacement during the first servicing mission. The second involved an entirely new system for the rest of Hubble’s observation suite. This new system, called Corrective Optics Space Telescope Axial Replacement (COSTAR), would essentially place a pair of eyeglasses into Hubble to correct the spherical aberration. But even that came with its own challenge. 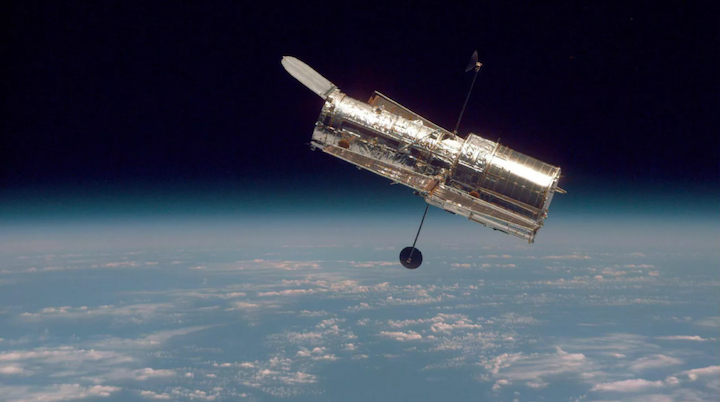 In order to install COSTAR, one of Hubble’s scientific instruments would have to be sacrificed. Eventually, the decision was made to remove the High Speed Photometer to allow room for COSTAR. With the plan in place in the corrective optics being designed and built, NASA officially manifested the first Hubble servicing mission as STS-61 and selected Shuttle Endeavour to fly the mission. To account for the five grueling spacewalks demanded across just five days, NASA assigned two spacewalking teams, the first to perform spacewalks one, three, and five and the second to perform spacewalks two and four. In October 1993, Endeavour rolled out to pad 39A, and while initial pad processing went well, a severe wind storm on 30 October caused contamination to the Rotating Service Structure’s Payload Changeout Room. While the Hubble payload itself was not affected, NASA determined Pad-A’s Payload Changeout Room was too heavily contaminated for the extremely clean requirements necessary for the critically sensitive Hubble optics packages. In early November, Endeavour was rolled around to LC-39B, as was her payload. An initial launch attempt on 1 December 1993 was scrubbed due to a range weather violation at the Shuttle Landing Facility and a range violation caused by an 800 foot ship in the restricted zone down range in the Atlantic Ocean. At 04:27:00 EST on 2 December 1993, Space Shuttle Endeavour embarked on her fifth voyage to space, and under the cover of darkness hauled herself to orbit and a rendezvous with the Hubble Space Telescope. Endeavour’s crew rendezvoused with Hubble on Flight Day 3, grappling the telescope and securing it inside the payload bay – setting the stage for the five spacewalks to begin. The first spacewalk saw Story Musgrave and Jeffrey Hoffman install protective covers on Hubble’s aft low gain antenna and exposed voltage bearing cover while also replacing two sets of Rate Sensing Units containing gyroscopes to keep Hubble pointed in the correct direction during astronomical observations. The second EVA the following day saw Thomas Akers and Katherine Thornton replace both of Hubble’s solar arrays. During this process, Thornton removed the first array during a nighttime pass to minimize electrical conductivity, holding the array in her hands before an orbital sunrise and daylight pass. She then released the solar array to let it drift away from Endeavour. However, her release imparted zero velocity onto the array, and Endeavour had to perform a small burn to provide a 5 foot per second separation velocity between the Orbiter and the array. The second solar array, once removed, was placed in Endeavour’s payload bay for return to the European Space Agency. Replacement of the two new solar arrays proceeded without issue, wrapping up the second EVA of the mission and paving the way for installation of Hubble’s corrective optics. 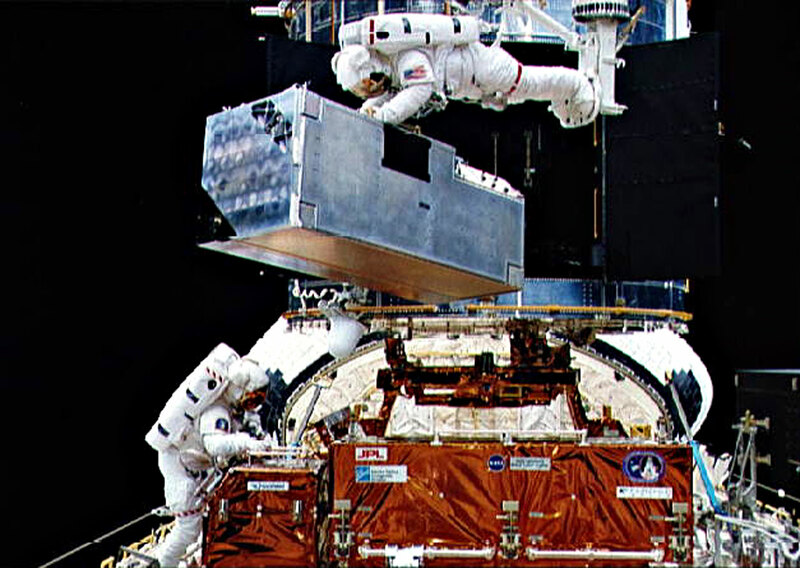 The next day, Musgrave and Hoffman removed the Wide Field Planetary Camera from inside Hubble and placed it in a storage container and Endeavour’s payload bay, after which her and Musgrave removed a protective hood from the new Wide Field Planetary Camera 2 before grabbing hold of it, removing it from a storage container, and installing it into the Hubble Space Telescope. Following an aliveness test of Wide Field Planetary Camera 2 by ground controllers, its successful installation and activation was verified, allowing Hoffman and Musgrave to move on to other activities including replacement of two magnetometers. The success of the third EVA meant that the most daunting and critical task of the mission was now at hand for Ackers and Thornton – installation of COSTAR. Crawling out of Endeavour’s airlock at 22:13 EST on 7 December, Ackers and Thornton began the primary task of removing Hubble’s High Speed Photometer to allow room for COSTAR. By 22:54 EST, the High Speed Photometer had been powered down, and Ackers began opening up the servicing bay doors for access to the instrument shortly thereafter. Despite reluctance of the doors to open, the High Speed Photometer was removed at 23:27 EST before Ackers and Thornton reinserted the instrument as part of on-orbit practice for COSTAR installation. Ackers and Thornton then temporarily stowed the High Speed Photometer on the side of Endeavour’s payload bay before moving to COSTAR and removing it from its storage platform. 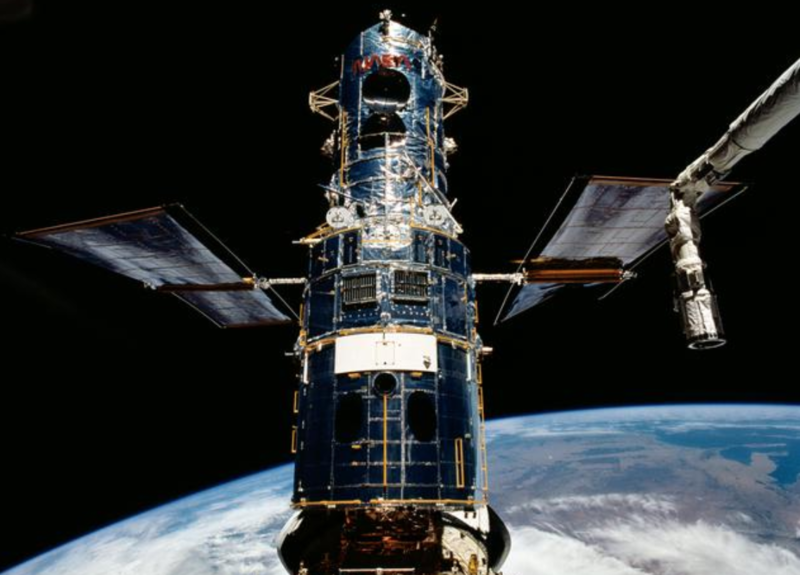 Together, the duo successfully installed the critical corrective optics package into the Hubble at 00:35 EST on 8 December 1993. After COSTAR was successfully installed, the duo moved on to the installation of a new electronics package with additional computer memory and co-processor for Hubble. After conclusion of the 4th EVA, Endeavour’s Pilot used the Orbiter’s Reaction Control System thrusters to boost Hubble’s altitude from 594 x 587 km (321 x 317 nautical miles) to 595.8 x 594.3 km (321.7 x 320.9 nautical miles). During this time, functionality testing of COSTAR was completed, verifying its proper installation into the telescope. The fifth and final spacewalk of the mission saw Musgrave and Hoffman replace the Solar Array Drive Electronics as well as oversee deployment of the newly installed solar arrays. But the automated deployment sequence failed to initialize as planned and multiple attempts to automatically drive array deployment failed, resulting in Musgrave and Hoffman having to manually crank the arrays into their unfurled position. 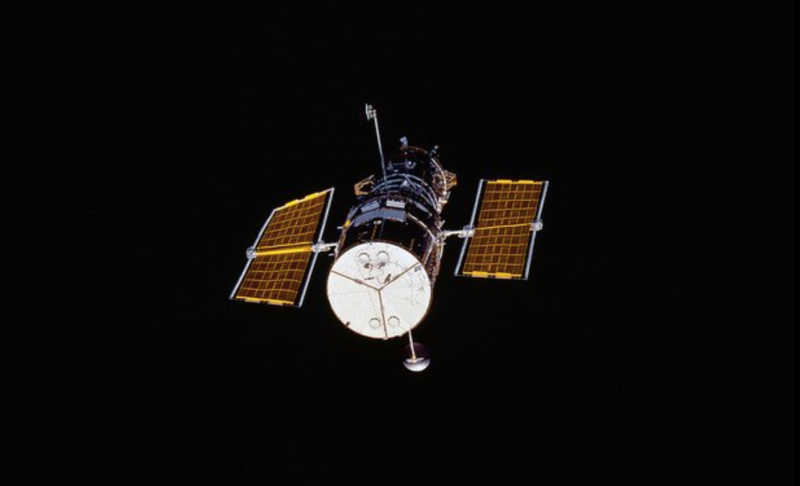 The following day, Hubble’s aperture door was opened and the telescope released from the end of Endeavour’s robotic arm at 05:26 EST on 10 December 1993. A few days later, the critical test of the new optics and upgraded telescope was performed. Hubble was aimed once more at a point source astronomical object, its primary mirror and new suite of corrective optics and instruments filtering in the cosmic light. 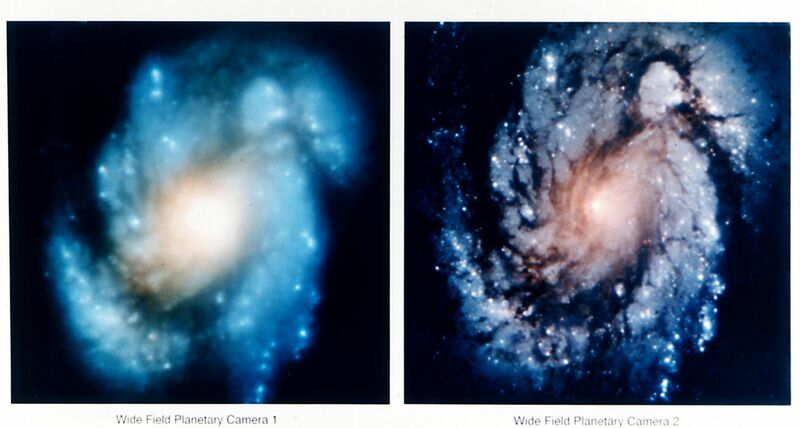 On 13 January 1994, NASA revealed the newly taken images compared with the old images to the public. Endeavour’s mission was a complete success. The corrective optics worked perfectly, giving Hubble crystal clear and crisp vision of extremely distant and faint astronomical objects. To this end, STS-61’s success largely restored public confidence in NASA. Hubble was finally a fully functioning astronomical observatory. And what could have been one of NASA’s greatest blunders turned into one of their greatest successes with the agency succeeding in rescuing the most iconic telescope in the world.